Cast iron is a ferrous alloy which has been heated until it liquefies, and is then poured into a mold to solidify. It is usually made from pig iron. Alro Steel is a proud distributor of Dura-Bar cast iron products. 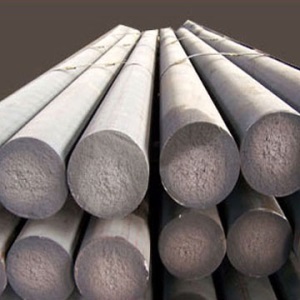 Dura-Bar Cast Iron Bars are a family of engineered cast iron bar products are designed to offer the best combination of machinability, sliding wear resistance, heat treat response, noise and vibration damping and guaranteed mechanical properties when compared to most other as-rolled ferrous materials. Dura-Bar optimizes machining feeds and speeds, decreasing downtime for tooling changes. In addition, this reduces scrap, and potentially lowers tooling costs by maximizing tool life. The end result is a lower total cost per part for applications including shafts, sprockets, bushings, gears, molds and more. Dura-Bar is used in a variety of industries, including aerospace, construction, industrial, and more. Production/precision cold sawing is available for cast iron bars. Precision cold sawing produces tighter tolerances and square, near burr-free cast iron production pieces. Your product can be cut to precision in a variety of shapes. Alro can also assist you in reducing your raw material inventory and material handling costs through careful analysis of your sawing and production requirements.